Even better? 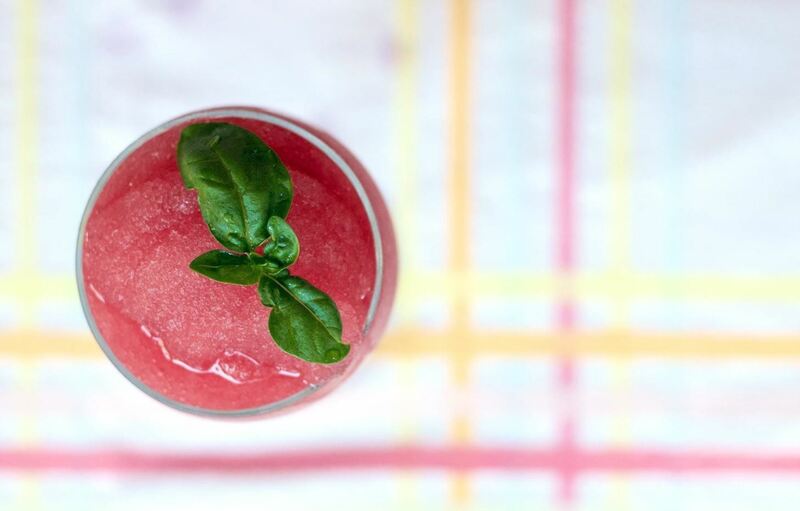 A wine slushie, which is exactly what it sounds like. How such a genius trick has eluded us in the past is baffling beyond belief. Hindsight is always 20/20, especially with "wine goggles" on! But now that we're in the know, we are here to share our skills. You'll only need one ingredient—wine. It can be red, white, rosé—whatever your preference—but we used rosé in our example. Also, you'll need a food processor or blender (for later), and an ice cube tray (or a few, depending on how many slushies you want to make). If you use the lidded kind, you can stack many wine-slushies-to-be. 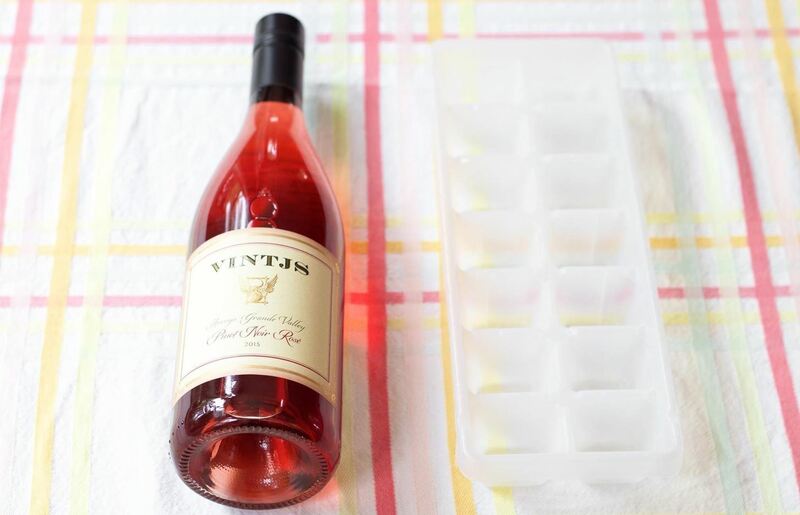 Freeze your wine overnight in your ice cube tray. 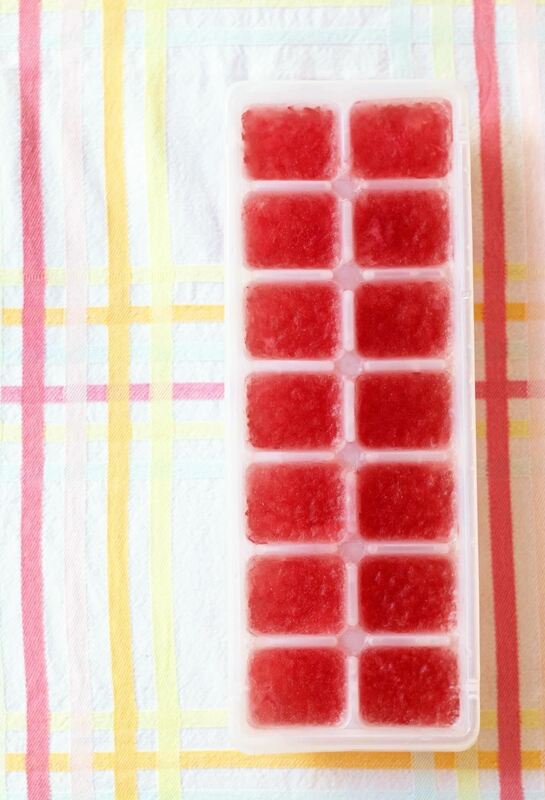 You want to make sure it is completely frozen so that the cubes pop out without wasting any wine. 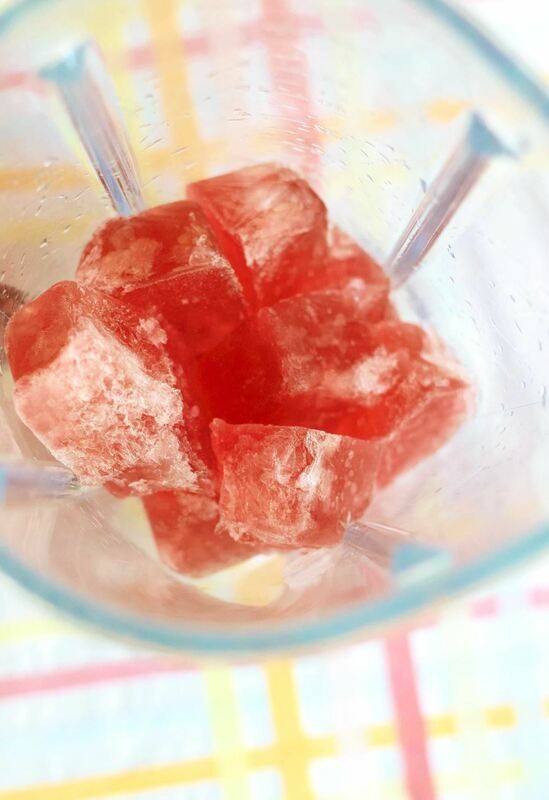 Once they have frozen firm, remove your ice cubes from the tray and place them in the bowl of a food processor or in a blender. Using quick short pulses/bursts, blend them. They will start off flakey, then will come together to create the desired slushy effect. If you want an icier slushie, stop there; for a smoother one, keep pulsing for a few more seconds. Do NOT over-process your slushie or you will end up with just liquid. 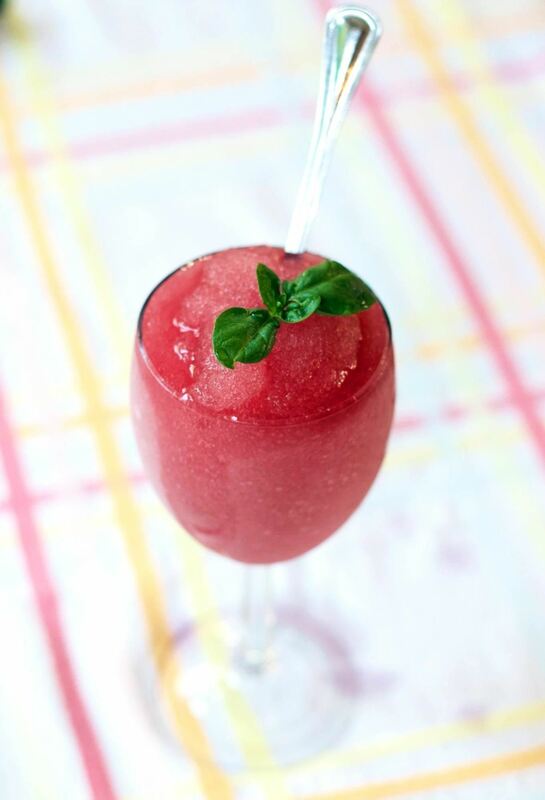 Serve your slushies in your glass of choice (wine, margarita, sippy cup) and garnish as desired. Some potential garnishes include a sprig of lavender, fresh herbs (like thyme, mint or rosemary), berries, and edible flowers. If your wine tastes a bit bitter, add some honey or agave syrup and a bit of citrus juice (lime or lemon complement wine best). On a hot evening spent on the patio, there's nothing like a refreshing slushie. Even better is when that slushie gives you a pleasant buzz that just enhances those lazy, hazy days of summer. Have any favorite warm weather drinks you like to slush-ify? Let us know in the comments below.